The lack of transparency surrounding the US use of drones has come under the spotlight over the past few weeks during the hearings to confirm John Brennan as head of the CIA. US politicians, journalists and campaigners have rightly criticised the secrecy that surrounds the US use of drones and called for greater openness from the Obama administration and more engagement with the public on the issue. However it is not just the US that is keeping it use of drones under wraps. 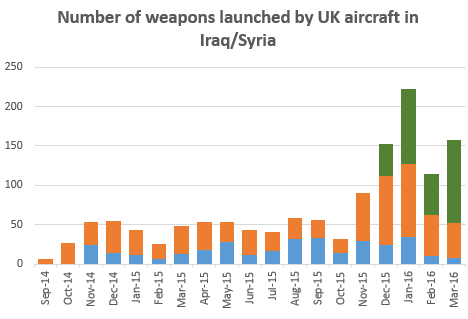 The UK’s use of armed drones is swathed in secrecy too and there is much that we are not allowed to know. 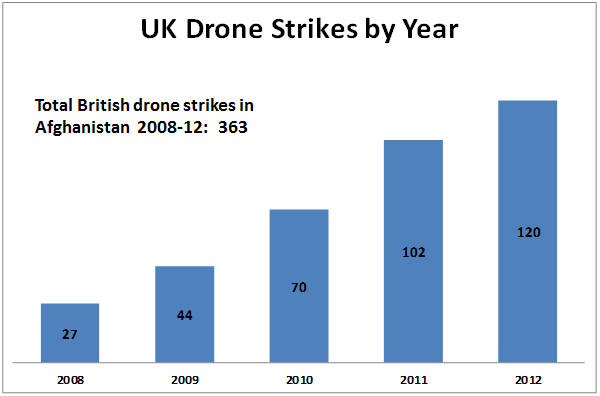 What we do know is that the UK launched 120 drone strikes in Afghanistan in 2012, bringing the total number of UK drone strikes to 363 since British forces began launching weapons from its Reaper drones in May 2008. Beyond this basic figure however we know precious little. We have been asking the MoD for more details about its use of armed drones since 2009 but to little avail. Freedom of Information requests about drones are often refused on the grounds that to share such information with the public would “prejudice the capability, effectiveness or security of the armed forces” or “prejudice relations between the United Kingdom and another State.” This week we launched an appeal to the Information Tribunal challenging the refusal of the Information Commissioner to overturn the MoD’s refusal to provide details of the date and province within Afghanistan of each UK drone strikes (we still don’t know if UK drones operate throughout Afghanistan or just in Helmand province where British forces are located) as well as their refusal to tell us the number of weapons released from drones under daily tasking orders (i.e. pre-planned) and those released under dynamic targeting procedures (i.e. on the go). Details of the refusals can be found here and here. The information we are seeking is extremely important. We know that drones operate in a different way from how manned aircraft traditionally operate. loitering for example over towns, villages and compounds looking for ‘targets of opportunity’. 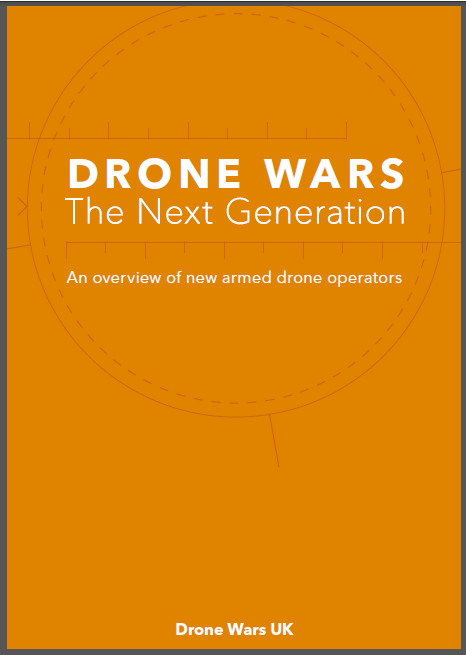 Information about where and how weapons are being released by UK drones would be able to greatly inform the debate about whether drones are lowering the threshold when it comes to using lethal force. Another key issue in the argument surrounding the use of drones is accuracy. Military spokespeople repeatedly describe drone strikes as being ‘pin-point’ or ‘precise’. But questions about the whether such systems are really so accurate are also being refused. This week Tom Watson MP was again rebuffed when he asked in the House of Commons for details about the Hellfire missile fired from British reaper drones. This followed a refusal in January to answer a similar question about the accuracy of weapons fired by drones. The MoD has also refused in the past to confirm whether it is launching the thromobaric version of the Hellfire missile – which we know the UK has in its arsenal – from drones. But perhaps the biggest secret surrounding the UK use of drones is the impact they are having on the ground. In May 2012 it was revealed following a NATO investigation that four Afghan civilians had been killed in a UK drone strike. The MoD insist that these are the only Afghan civilians that have been killed in UK drone strikes although they also insist at the very same time that they cannot know how many people have been killed in drone strikes. However the MoD have confirmed to me that they carry out a battle damage assessment after every single weapon release from Reaper drone and, of course, the video footage of the drone strike is recorded and available for review. 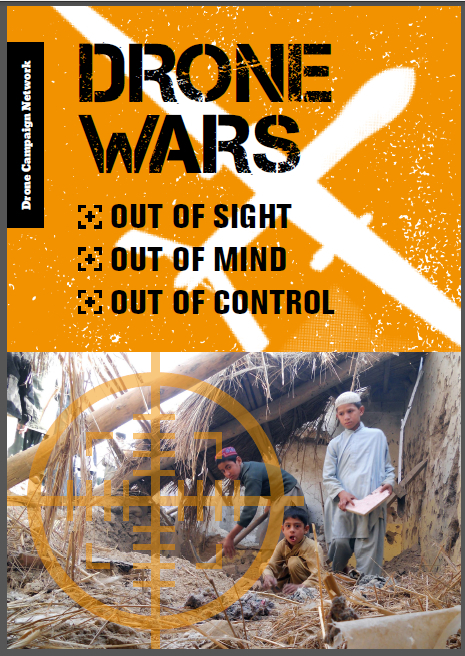 Across the border in Pakistan, according to figures compiled by the Bureau of Investigative Journalism, there have been 364 drone strikes, (a remarkably similar number to the UK’s 363 strikes in Afghanistan although US strikes often involve multiple weapon launches). According to BIJ between 2,500 and 3,500 have been killed in the 364 US strikes with between 400 and 800 being reliably identified as civilians of whom between 150 – 200 being children. Given this, information the MoD’s insistence that only four civilians have been killed in UK drone strikes is very hard to believe. Over the past few years we have seen disastrous consequences when institutions claim the privilege of exemption from public scrutiny and accountability – MPs expenses and bankers manipulating the Libor rate being just two recent examples. 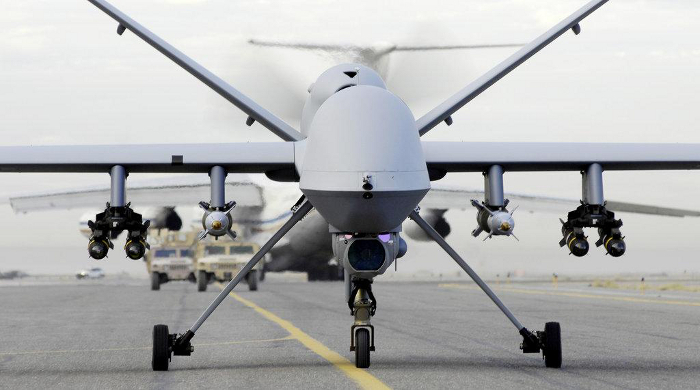 While it may be necessary to keep some information secret, it is simply not legitimate or appropriate for the MoD to refuse to disclose virtually all information about the use of British Reaper drones over the past five years. There is, at the very least, the sense that public discussion about drones is being manipulated and curtailed. This week we have written to the Defence Select Committee urging that the remit for their forthcoming inquiry into the use of drones is as wide as possible. With the use of armed drones only set to increase, we need a serious, public, and fully informed debate on all these issues and that must include greater information about the day-to-day use of armed Reaper drones by British forces.